We offer innovation and entrepreneurship services to our industry and academic partners from around the world. Our programs can be tailored to meet your organization’s specific needs from educating entrepreneurial engineering leaders or launching innovative companies. Working with our partners at Global Connect, our innovation training workshops introduce participants to commercialization skills including team formation, customer validation, defining value proposition, building the business model, and go-to-market planning. Our academic, government, and industry partners send teams of engineering innovators for an immersive experience at UC San Diego. Workshops are from 2 days up to 1-2 weeks and include classroom instruction and visits to technology companies and incubators in the San Diego region. Participants experience IGE’s full commercialization program from idea validation through proof of concept. They learn from experts in customer development, finance, venture capital and intellectual property. By the end of the training, students are prepared to pitch their innovation ideas to investors or corporate decision makers. The key point I learned from the program at UC San Diego was that I should validate if my hypothesis is true by going out of the laboratory and meeting industry people to and their pain, the real problem that they have." --Professor Shintaro Hisatake, Osaka University, Osaka, Japan. 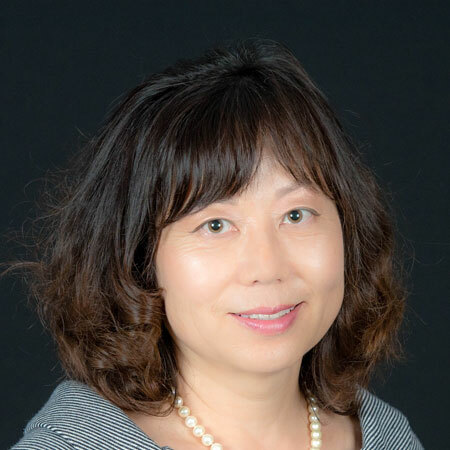 Professor Hisatake received a $1 million grant for his research on electromagnetic waves after interviews with major automotive companies demonstrated that his theoretical research has practical application for automotive safety. Mentor an international startup on the U.S. market and regulatory system in order to tailor the business plan to the U.S. environment. Accelerate team skills to be able to pitch to U.S. investors and sell to U.S. customers. Network the company to potential customers, partners, incubators and investors in the San Diego Ecosystem. 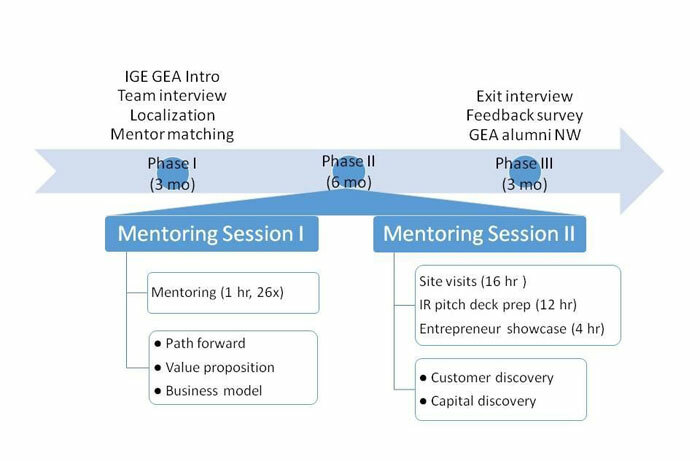 The GEA program is a business localization program for a foreign startup through close 1:1 mentoring program, particularly for a startup that already has entrepreneurship training (like I-Corps) and an advanced technology (with proven proof of concept). The Institute for the Global Entrepreneur will provide the mentoring necessary to tailor the startup's business plan to the US environment in an effort to accelerate that business to market and be investor ready. The accelerator provides introduction to U.S. and Global markets, including leaders in relevant industry domain and venture firms. During this intensive 3 to 12 month program, entrepreneurial teams are assigned a domain-expert business coach and have access to Institute-affiliated faculty. Together the coach and team determine commercialization milestones including in US market and customer discovery; refining value propositions, revenue models and business models to facilitate customer and investment interest; and establishing connections and discussions with relevant contacts within the industry and investment community. Ulsan National Institute of Science and Technology (UNIST), our partner in South Korea is the leading science and technology university located in the heart of Korea's largest industrial city, Ulsan, South Korea. Currently, two companies are enrolled in the program. Read about the signing agreement here.